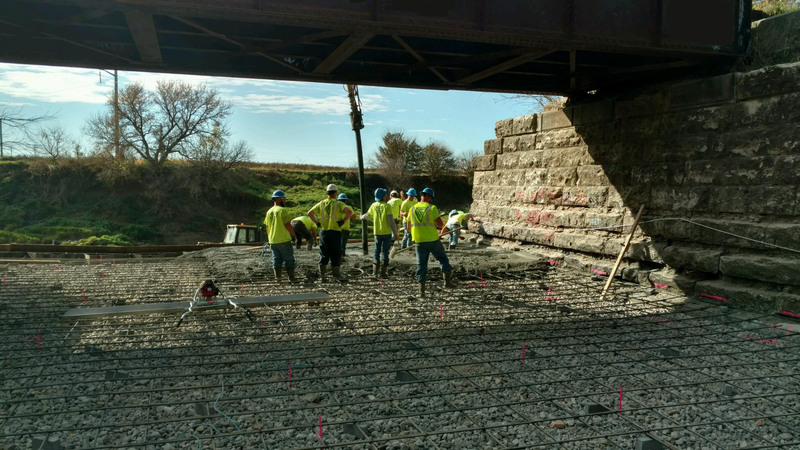 Papio Missouri NRD hired Valley Corporation as a General Contractor to protect a historic bridge and it abutments along an old railroad bed for the future construction of the West Papio walking and biking trail. The bridge was originally constructed in 1905 for railroad use and has since been abandoned. 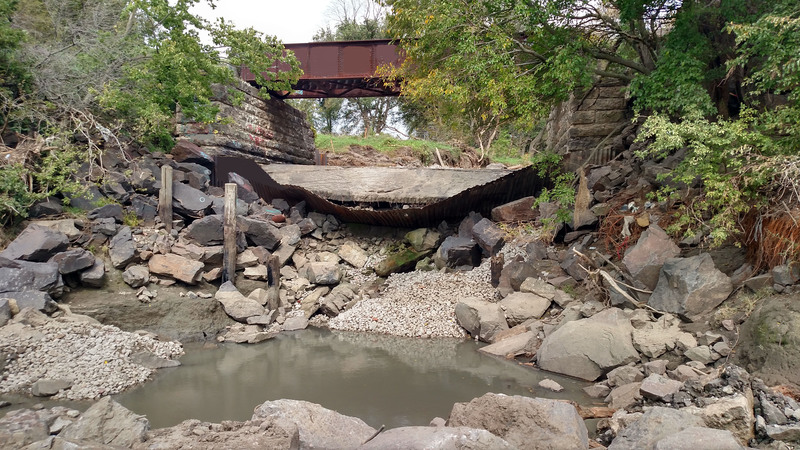 The old sheet pile and concrete slab at the rail bridge crossing Hell Creek were nearing total failure. To stabilize the bridge abutments Valley Corporation installed 4 Sheetpile walls which totalled approximately 6300 SF, imported 2000 CY of soil fill, infilled underneath the existing bridge abutment with flowable fill, removed and reconstructed 330 SY of 8” reinforced concrete slab under the existing bridge, constructed a grouted boulder drop structure with rip rap and grout for velocity dissipation at the mouth of Hell Creek, installed a new plunge pool downstream of the bridge, constructed rip rap bank stabilization all on Hell Creek. For all aspects of rip rap installation including bank stabilization, the grouted boulder drop structure and plunge pool lining, approximately 2,000 tons of “Type C” rip rap were utilized during the project. The project began in late July and completed mid-January of 2017. Jeff Grady, Valley Corporation’s Project Manager on site recalled the challenges faced during the completion of the Hell Creek project. 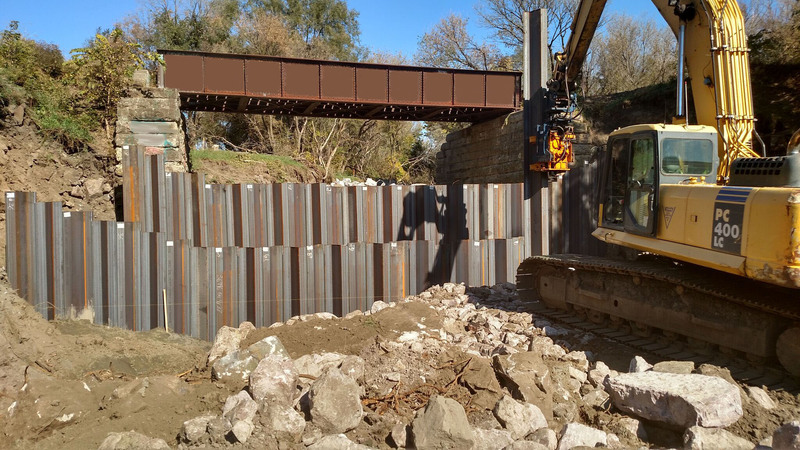 “The sheet-pile installation was one of our concerns as, per the specifications, the toe of the sheets were required to be installed 2’ into sandstone, but fortunately our Movax driver was up to the task and the Sheetpile installation went very well! For this entire project we were facing constraints as we have a very tight work area and a lot of material to deal with. The construction site is at the confluence of 3 different creeks, with the majority of the work being completed on Hell Creek exclusively. 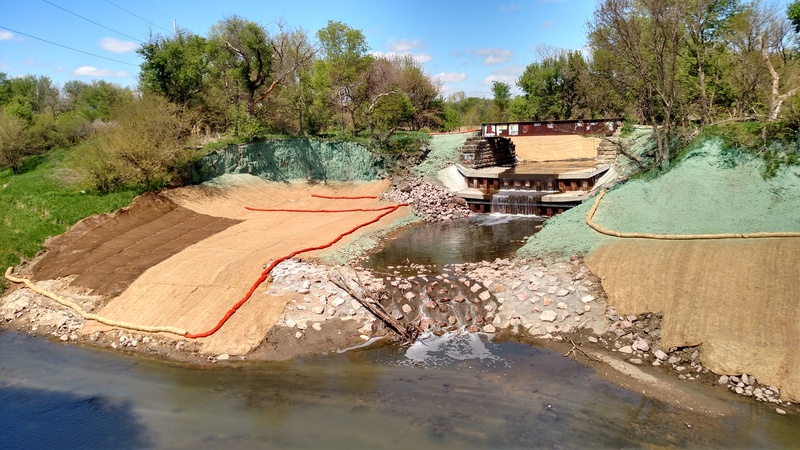 We had to construct a dam upstream of the bridge and bypass pump the creek flow to allow for a “dry” work area. We were pumping with a 6” pump running 24/7 to control flow and not flood our work zone on Hell Creek. 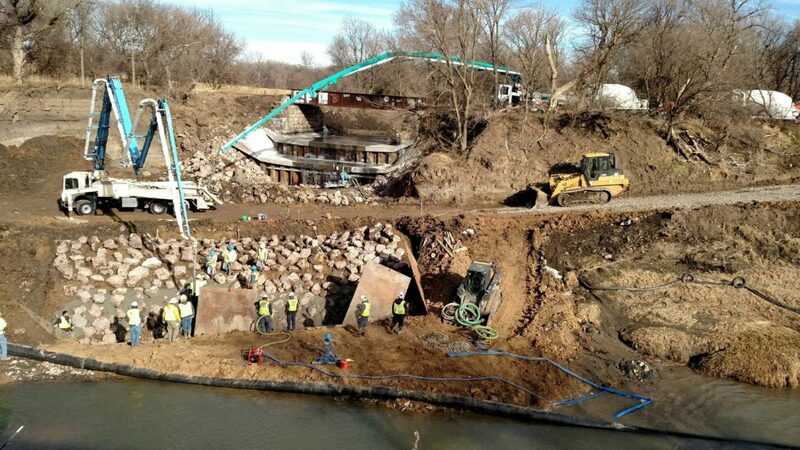 To control flow while constructing the grouted boulder drop structure, we utilized one 18″ pump and two 10″ pumps on the Papio Creek side in conjunction with the 6” pump on Hell Creek side as we were, at that time, also dealing with the flow from Papio Creek. We also had to get “creative” and worked with Ready Mixed Concrete and Hotz Concrete Pumping to figure out how to get the pump trucks and concrete trucks into position for the drop structure pour so it was easily accessible and safe for all parties involved and we ended up completing the pour without issue. 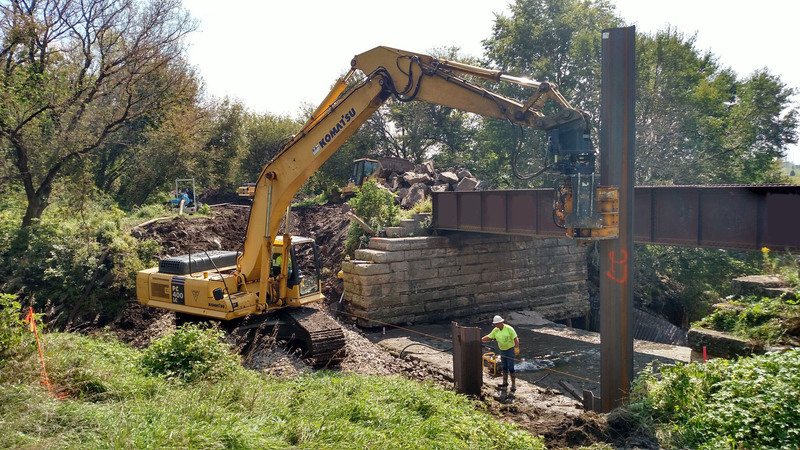 Although the weather did not cooperate and crews had to work around the clock to damn the creeks after above average rainfall during the month of December, Valley Corporation rose to the challenge.